← How to convert pcl to ps? The most common image format we meet in our daily life maybe is JPEG which is the right format for those photo images which must be very small files, for example, for web sites or for email.The most common is for digital camera memory cards.The JPEG file is wonderfully small, often compressed to perhaps only 1/10 of the size of the original data, so it is often used to store abundant pictures or image files. Say if we have taken numerous of pictures which are very precious for you, then you want to keep them in a folder to print or upload them to website meanwhile you do not want them being damaged, you’d better convert them to PDF files. I will take a JPEG file for example to show you my way of converting. When you enter the interface, please add your file to Image2PDF. I will take a random JPEG for example. If you meet any problem during the operation, please click “Help”. It has technical support center where you can find a trouble shooter. By “Image2PDF” you can visit the homepage of this software. 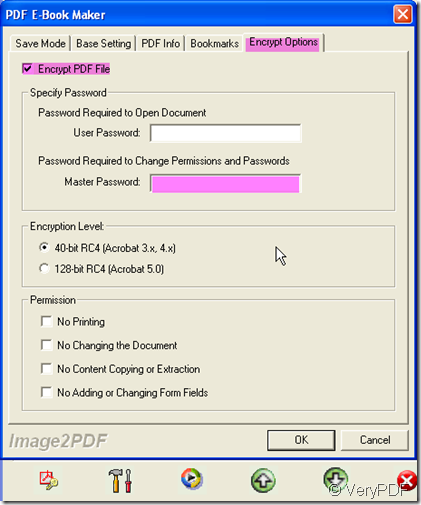 If you want to know more about this software, please go to “About Image2PDF”. 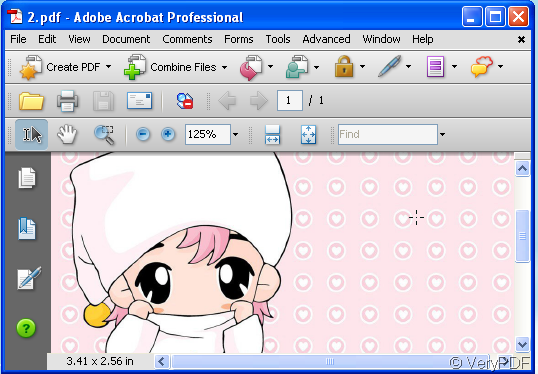 When you click the blank which the file is in, the picture will be shown in the interface screen. If you want to add more images to convert, just drag all of them to the blanks which could be dragged to endless long. 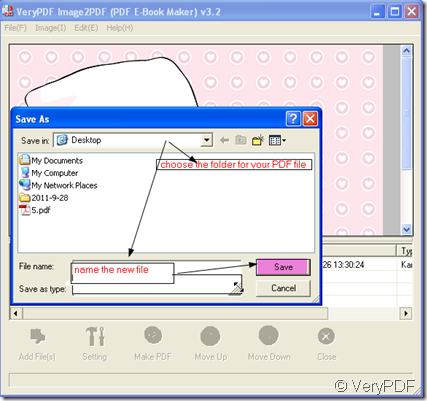 If you do not have special requirements for it, you can click “Make PDF” file to convert it. If you have, please click “Setting” to set your PDF files. 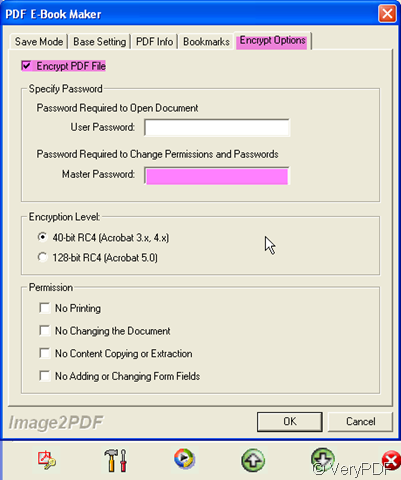 Say you want to encrypt your PDF files, please set a “Master Password” here. You also can choose the “encryption level”. If you choose the second one, I guess nobody can open it without your permission. Meanwhile if you do not like somebody to print your PDF files, please choose “No Printing” in the “Permission” column. When you finish the choosing, please do not forget to click “ OK”. The last step is to click the button “ Make PDF” and name the newly produced PDF files then save it in a folder. You’d better name it the same as the source file then it will be much easier for your future searching. In maybe a second, a new PDF file appears in the chosen folder. We made it. How to convert EMF image to PDF file? What is 128 bit encryption? This entry was posted in Image to PDF Converter and tagged JPEG to pdf. Bookmark the permalink.